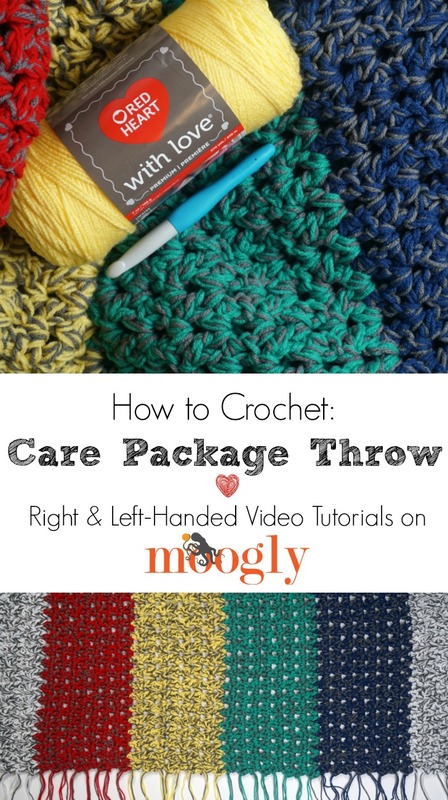 Care Package Throw Tutorial - Right & Left-Handed Videos on Moogly! 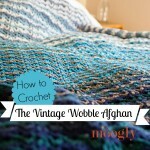 The Care Package Throw Tutorial makes this simple and speedy crochet pattern easier than ever! Grab a couple skeins of Red Heart With Love and we’ll go over this stitch together – and you’ll have a finished crochet blanket in no time! Disclaimer: This post includes affiliate links; materials provided by Red Heart Yarn and Clover USA. 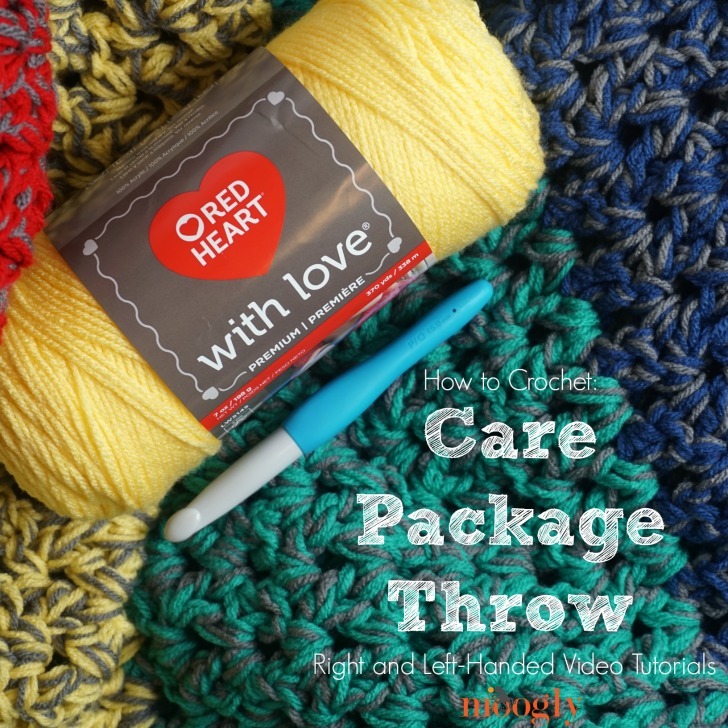 Care Package Throw – FREE Pattern! And that’s how to make the Care Package Throw – after you’ve learned the second row, you’ve learned the entire pattern. 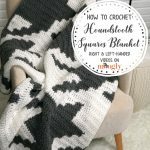 I made mine in two evenings – and that included the time to decide on the stitch pattern and color layout and do all the math, so you know it’s speedy! If this video hasn’t answered all your questions about this pattern, please ask in the comments below – I’m always happy to help! And if you make the Care Package Throw, be sure to tag me in your photos so I can see it too, @mooglyblog or #mooglyblog – I can’t wait to see what colors you use with this pattern! Thanks so much for reading and watching! Get Moogly on your favorite social media sites: Facebook, Twitter, G+, Pinterest, Instagram & Tumblr! And sign up for the free newsletter at the top of the page so you don’t miss a thing! 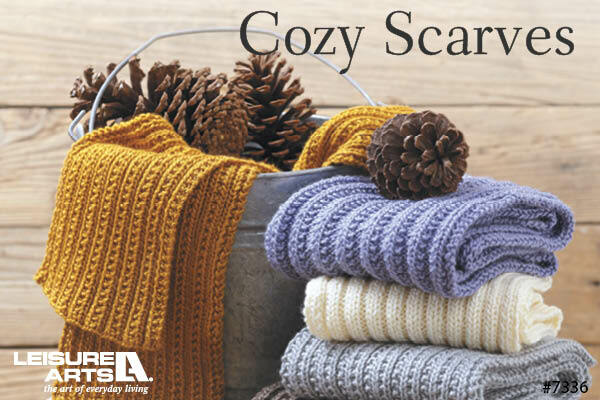 Thank you to Red Heart Yarns and Clover USA for providing the materials for this video. 🙂 Please let me know if you have more questions!